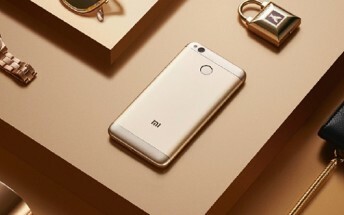 China will be getting an upgraded version of the Redmi 4 - Redmi 4X - with Snapdragon 435 chip and faster LTE speeds. Today Xiaomi's may have focused the spotlight on its first homebrew chipset - the Surge S1 - and the Mi 5C, but the manufacturer had one more announcement before calling it a day. 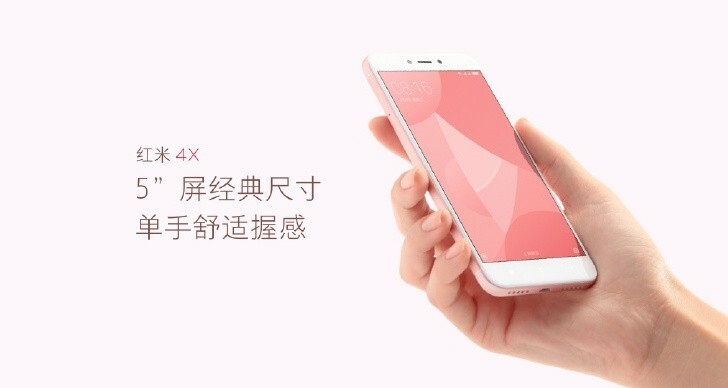 Xiaomi used its official Weibo account to introduce the Xiaomi Redmi 4X for the Chinese market. The Redmi 4X looks identical to the Redmi 4, has the same 5" 720p display, but comes with a newer Snapdragon 435 chipset (Redmi 4 has S430). There is the same octa-core 1.4GHz A53 processor and Adreno 505 GPU, but the model is different and offers faster LTE speeds - 300Mbps for downlink and 100Mbps uplink. The rest of the specs are similar to Redmi 4's - a 13MP main camera, a 5MP selfie snapper, Dual-SIM, VoLTE support, and a 4,100 mAh battery. As usual, there is Android OS (probably Marshmallow) with MIUI 8. 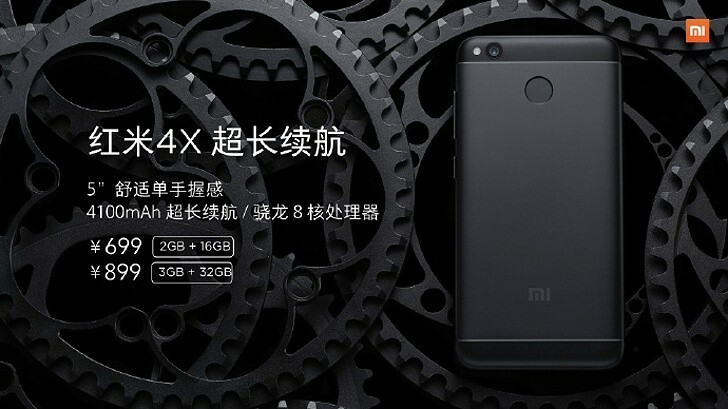 Xiaomi Redmi 4X will be available in 2GB RAM + 16GB storage and 3GB RAM + 32GB storage options. The Chinese customers will be able to choose between Cherry Pink, Champagne Gold, and Mate Black paintjobs. 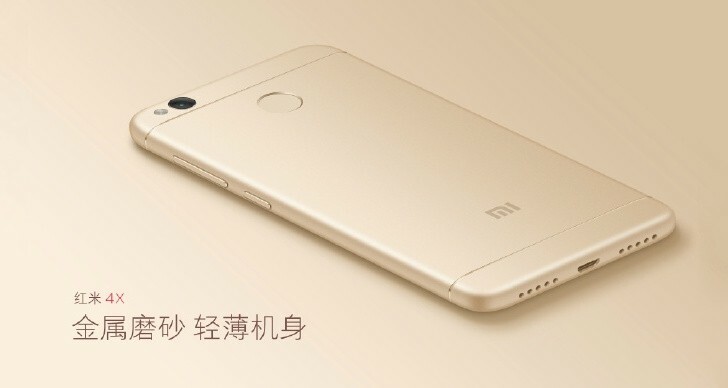 Redmi 4X will launch soon in China at CNY 699 ($100) for the 16GB model, and CNY 899 ($130) for the 32GB version. There is no information on whether the Redmi 4X will launch outside China or not.